FAQ about worm farming! 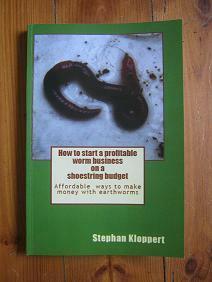 Below please find a list of frequently asked questions about worm farming. You will find the answers, further down on the page. I will try to answer all FAQ about worm farming (frequently askesquestions) and the recycling with earthworms but if you have a question about worm composting that is not answered on this page please let me know and I will get back to you with an answer asap! 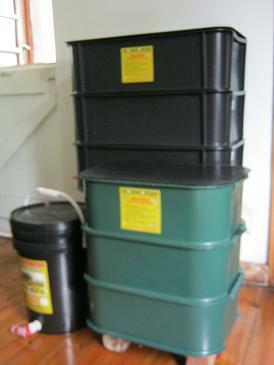 Q: How do I set up my worm bin? Q: What food do the worms eat? Q: Will the worm bin produce bad odors? Q: How moist must the worm bedding be? Q: How do I harvest the worm castings? Q: How do I harvest the worm tea? Q: What if my worms try to escape? Q: What if the bin starts to smell bad? Q: What if the bin starts to attract fruit flies? A: You will find detailed instructions if you follow this link on our website! 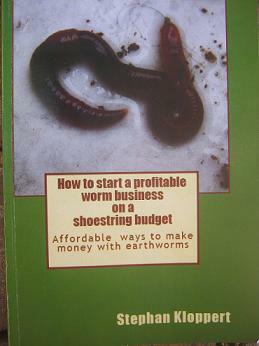 “How to set up and maintain a worm farm”. 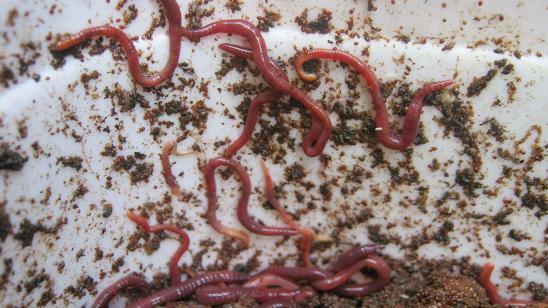 A: Red Worms spend most of their time eating. They love to eat basically anything that has ever been alive and is now dead. Kitchen scraps, garden waste, pet waste..! Be careful with hot and acidic waste like hot spices, cat poop, citrus peels. 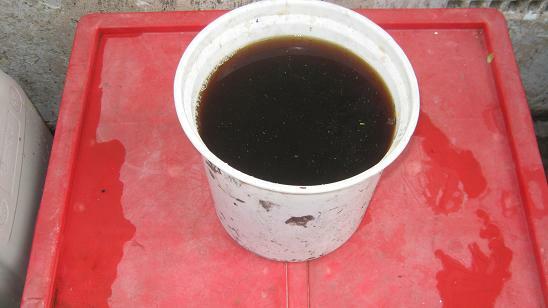 Stay away from oily waste. If you want more info than have a look at a video about the basics of worm composting to learn more about the kind of food the worms enjoy. You'll find the video in the bottom half of the page. Our page "Worm food" will give you as well lots of useful information. 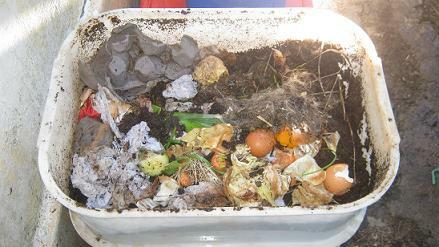 A: A correctly managed worm bin will smell like fresh forest soil. 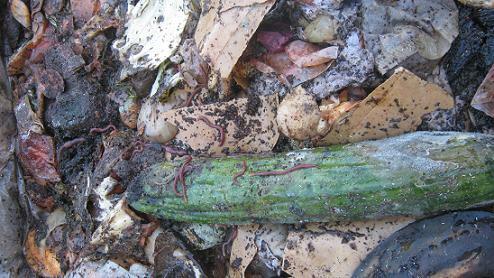 Compost worms eat the parts of their food that starts to decay. This way they are preventing the development of bad odors! A: The ideal moisture level is between 80 and 90%. Take a handful of bedding and squeeze it. 1 or 2 drops of liquid dripping down will be perfect! A:There are a few ways to harvest worm castings. 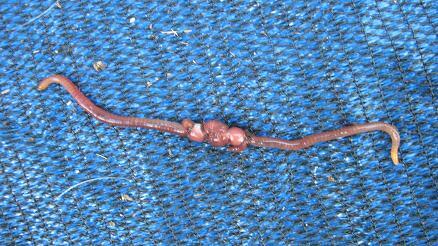 Follow this link to “Worm castings” to get detailed information. A: Worm tea should best be used freshly brewed. Follow this link to “Worm tea” to find out how to produce this liquid plant food. A: If you find lots of worms on the walls of your bin or right below the lid than there is usually a problem with the food or bedding. It is probably to acidic or to hot!You should straight away remove access food and aerate the bedding! Add a little agricultural lime over the surface of the bedding. This will help to regulate the ph level inside your worm bin. A:The bin might contain to much food. Your worms can not eat as fast as the organic waste is decomposing. Remove some food and stop feeding for a week or too. This should give your worms time to catch up! 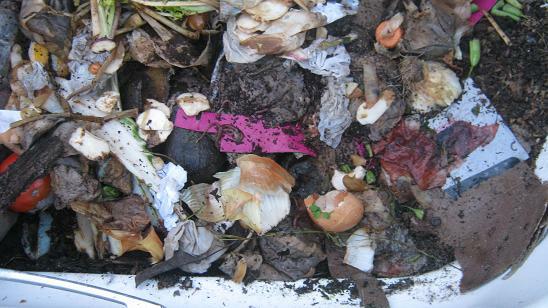 A: Bury the food in the bedding or cover the Surface of the Bin with a wet newspaper or a plastic sheet. 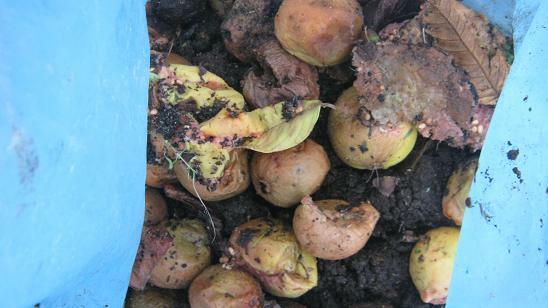 Another way to reduce fruit flies in a worm farm is to freeze fruit waste before adding it to the worm bin. 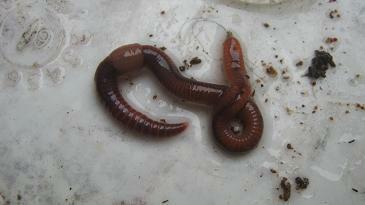 To find out more answers to FAQ about worm farming follow the link below. If you have a question about worm composting that has not been dealt with on our "FAQ about worm farming" page feel free to fill in the form below and we will answer it here on our pages. 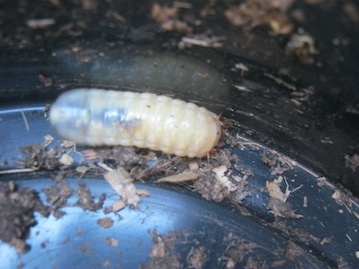 Follow this link to find out more answers to FAQ's about worm farming. Go from FAQ about worm farming to "how to build a worm farm"
Go from "FAQ about worm farming" back to the "Home Page"
Lesen sie diese Seite in deutsher Sprache!